Summer is coming up quickly and the weather will soon follow. In the meantime, one thing is going to be on people's minds: the beach body. We have something to help get the ball rolling when it comes to eating sensibly without sacrificing flavor. Put down your rice cakes and stop starving yourself, because today we're introducing a fresh farro sautee. Farro is a wheat grain, with consumption dating back to the Ancient Egyptians. The grain is most commonly boiled to bring moisture back into it to make it edible; otherwise it would be like eating dried oats. Many people who try farro for the first time actually believe that it is undercooked, but it still remains crunchy upon cooking. Our farro is sauteed with corn, carrots, red onion, asparagus, red bell pepper, green onion and zucchini with a white wine and plugra butter combo. Perfect as a side, this could be the summer dish that revolutionizes main entrees. People often assume that lunch or dinner has to consist of a burger or a large entree, but sometimes simpler is better. While this dish is great on its own, we also recommend adding your own flare to it. Why not top it with a fresh salmon or veggie burger? Either selection helps you to imagine you're eating a full-fledged meal instead of a side. 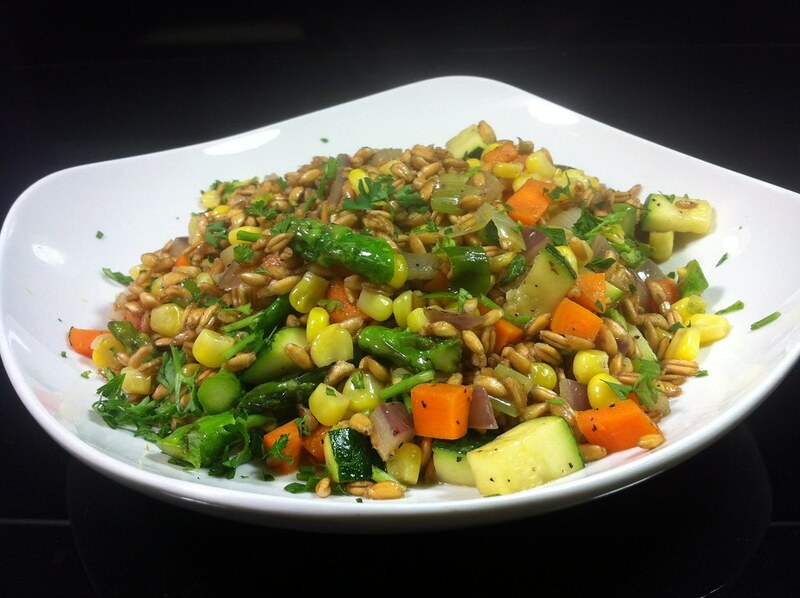 No matter how you serve it, farro is healthy, delicious and a great start to beach season. Farro isn't the only hot item hitting our menu this week. Introducing a very limited supply of soft shell crabs, their harvest season only lasts a few days out of the year. 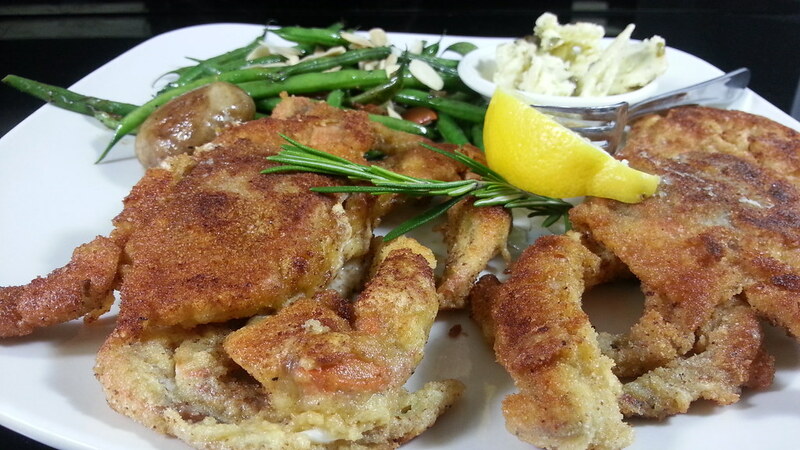 So for a brief time only, you can enjoy two soft shell crabs sauteed in garlic herb butter. Soft shell crabs are a whole new take on crab eating for some of you seasoned experts. Soft shell crabs are blue crabs that have molted their exoskeleton and are still completely soft. In turn, this allows for the entirety of the crab to be eaten, not just the meat inside. So instead of your typical crab mallet, all you'll need is a fork and knife. We actually have to tell our servers to ask their customers if they've ever eaten soft shell crabs before so that they do not feel unsatisfied by the amount of meat in them if they try to crack them. Considered a delicacy across the world, these are prized crabs that are limited in hunting season to avoid over fishing. They are also the freshest crabs (they come to us still alive), so rest assured that even the Midwest can enjoy the finest that the Atlantic and North Pacific have to offer. But even the finest, freshest crabs won't last long. Stop in and get yours while you can!